Consumer 3D printers have always been out on the market for quite some time now, and many are still on the lookout for more fun and innovative ways to create something out of a 3D printer. A new trend is now on its way as companies are distributing kits to individuals to assemble a 3D printer thus the name DIY 3D printers. Although there are also some do-it-yourself printers out on the market, there is one printer that kept its presence in the background. The SLA printer is one of the most popular DIY 3D printers in stores, and every product seemed remarkable when it comes to the convenience and performance, and now, the latest version of the DIY SLA printer will be coming to Indiegogo soon. It is developed 3D Dream Workshop which is owned by a Taiwanese manufacturer. This DIY printer is like no other as it allows builders to have a more flexible experience when creating. The DIY allows the customer to have total control than the previous versions of the SLA 3D printers. The typical SLA printer usually limit the builders when it comes to proprietary resins while Funplay on the other hand, is compatible with almost every SLA resins available on the market. 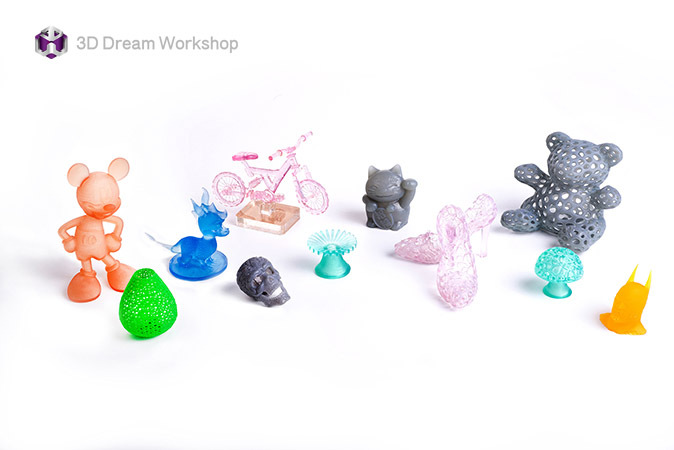 The 3D Dream Workshop are also offering transparent resins that are accompanied by an extensive palette of mixable pigments that can be combined with the resin to create a large variety of colors. The unique feature of the Funplay that allows builders the flexibility is because of the Adjustable Laser Energy (ALE) and the Adjustable Exposure Time (AET) feature that was also developed by the 3D Dream Workshop. 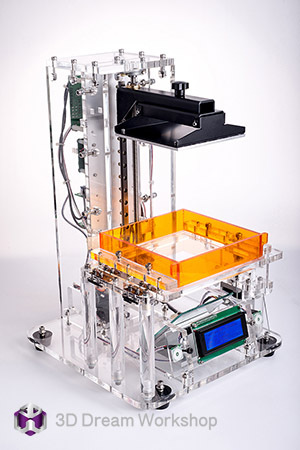 This DIY SLA printer separates itself from its previous versions because standard SLA printers usually have fixed laser strength and the exposure length. Another addition to the feature, Funplay printer allows the builders to adjust the laser from 0 to 100 mW and the light exposure range from 5 to 45 µs. General Manager of 3D Dream Workshop, Enzo Lee, said that the laser power and exposure time are the key factors in the SLA DIY printer. 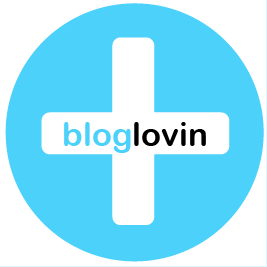 This is giving back the consumers the power over the production process and how each person can choose the right optical resin for each output said, Lee. It is true that most SLA 3D printers are known for the performance of each machine and the quality of each output, but most products are not consumer friendly when it comes to the pricing. Mid-range prices for SLA printers have just been popping out recently. However, the Funplay DIY printer and the Funplay DIY Crystal is rumored to have a very affordable price and it set to have an SRP of $1, 200 and an early bird Indiegogo promo price for only $799. There is also additional upgrades from the 3D Dream Workshop about a Funplay DIY Orange, but there are still no details about it. There are still little detail about the start of the Indiegogo campaign and the promo, but it is rumored to be set at the end of April and/or May. Campaign supporters will receive goodies such as kits and resin packages. The followers can also receive a High Tech Palette of pigments for the resin color mixing for a slightly higher price.